The Resource Directory will help you find resources, programs and field sites that will help you engage students in activities that build environmental literacy. Share this site with your colleagues and encourage your program partners to add their resources into this website. The Integration Document Team developed one-page documents for each grade level. Each page shows alignments between NGSS, geography, and social studies standards and provides guiding questions to support instruction. Thanks to Gray Family Foundation for their support in editing and printing the document. NAAEE is a network of professionals, students, and volunteers working in the field of environmental education throughout North America and in over 55 countries around the world. Since 1971, NAAEE has promoted environmental education and supported the work of environmental educators. NAAEE promotes excellence in environmental education and serves environmental educators. 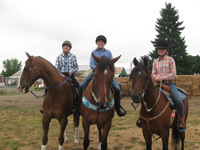 Friends of Outdoor School is dedicated to preserving the Outdoor School (ODS) experience for all Oregon students regardless of a student's ability, experience, income or family background. We do this by raising funds, gathering volunteers, and building community partnerships on behalf of Outdoor School. 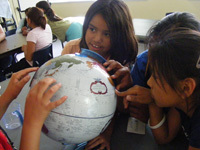 EEAO promotes and influences environmental education on national and statewide level. 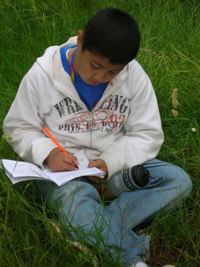 The Gray Family Foundation is an Oregon funding organization that provides resources and support for outdoor learning. 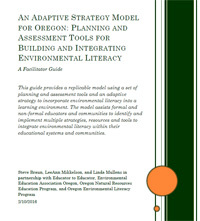 This guide provides a replicable model using a set of planning and assessment tools and an adaptive strategy to incorporate environmental literacy into a learning environment. The model assists formal and non-formal educators and communities to identify and implement multiple strategies, resources and tools to integrate environmental literacy within their educational systems and communities.